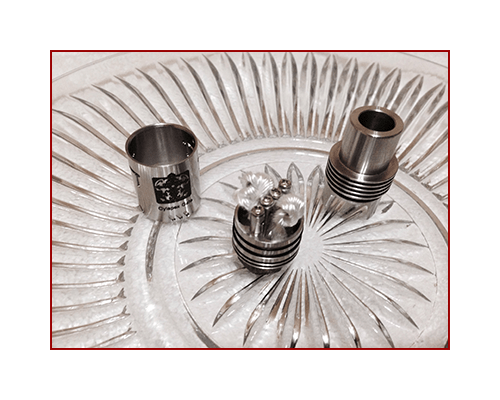 Upon utilizing many different RDAs, I gained a small amount of experience with building coils and finding out what I did and did not enjoy with the way they vaped and the clouds they produced. Most of the RDAs I have built coils for are 22mm RDAs. Though I have built coils for a few 29mm RDAs, I use them less often. As I usually get my RDAs from the web and wait for them to come in via the mail, I decided to get one from a local vaping lounge that had about 20 to choose from. “Which RDA do you carry that promotes the largest possible airflow?” I asked Luke, the man behind the counter. He showed me three RDAs: the Cylapex Gate RDA, the Legion RDA and the Mutation X RDA. I decided against the Mutation X RDA, because it is readily available from many vendors on the web. For the life of me, I could not choose between the other two RDA items. As I attempted to compare the air holes, I noticed the Cylapex Gate RDA is made with a ‘wide-bore‘ drip tip. 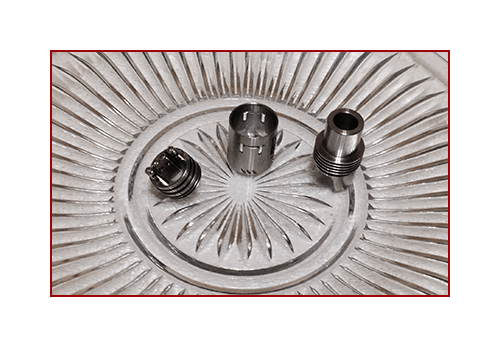 Special thanks to Nick and his remarkable “Royal Hunter” video review here on Spinfuel, that is how I know how to call the drip tip ‘wide bore.’ When I saw it (the drip tip) I asked Luke, “Is the top of this actually the drip tip?” When Luke said “Yes,” my decision was made. I promptly got the RDA and brought it home to get it ready to function properly. As I describe the RDA, I will mention at least seven exciting notions. I also want to mention, before continuing, that I used silica wick instead of organic cotton for this build. It worked great and I was impressed. You can see in the pictures below how I installed the ‘stylish’ wick. I wrapped it all around the coils while still leaving plenty of looseness for air flow capability. I chose to use the coils that came with the RDA and they impressed me, as well. From their looks, the coils are 28 gauge in diameter. To begin with, as previously mentioned, the ‘Cylapex’ has a wide bore drip tip. It is the first RDA I have owned with such a feature, and 90% of the reason I have been using the Cylapex instead of any of my subtanks or other atomizers these last few days. It is so awesome. When you take the top off of the RDA, you can turn it over and quickly set it down on a napkin on a flat surface. 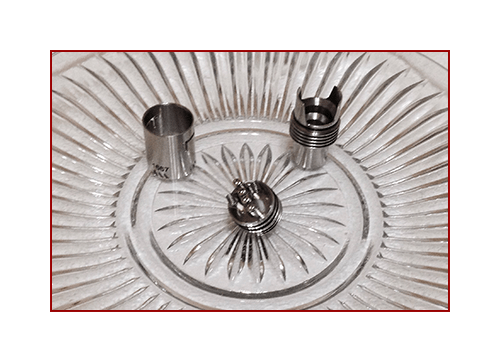 You do not have to waste time removing a Pyrex drip tip, and you can easily get to the coil installation. The wide bore drip tip looks as if it would allow for maximum and desired airflow. It does. It amazed me. As airflow was a definitely a factor in obtaining the Cylapex Gate RDA, I was not disappointed. Of the air holes I have seen in over 200 RDAs, the Cylapex beats out 90% of them, in my opinion. It does not draw air intake from the bottom of its deck, like the Mutation X and others, however the air holes resemble ‘gates’ you may see in China –the ones that consist of two large vertical timbers with one long one running atop of them, horizontally. The top of the tank can turn to allow as much of the air holes to be open as one desires – I leave mine open all the way. The Cylapex has many hard-to-ignore features. One of them is its two-hole containing center positive connection post. It looks like a rectangle, not a more common “T-post.” The posts are tall, allowing for a deep drip deck, which allows for cotton or wick to touch the bottom of the inner deck. 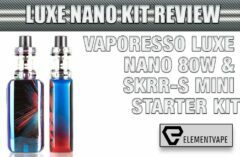 This allows excess e-juice to flow up into the coils for prolonged vaping. The screws on the top of the posts are common Phillips screws, which I usually prefer, and tighten and work properly. The post holes are just large enough to allow for parallel coil builds which use two wires going through each hole. It is handy that the drip tank is super deep; one can still access the post holes with ease due to their height. The coils which came with the RDA were easy to install and worked without flaw, especially with the silica wick. I have not used silica wick very often. It worked great for this build. I vaped over and over and was not even possibly disappointed. No one likes a dry-vape hit, and I was able to refrain from having one with no unwanted gurgling. Some other positive features include the engraved logo, small bottom air holes and the stylish heat rings on the top. I also like that the RDA is somewhat taller than some RDAs. As it is similar to the Royal Hunter RDA in height, I was able to install a single coil over the screws. I did this to drop e-juice into the RDA without removing the top. It does work that way, though I ended up preferring a dual parallel coil build, later on and took the time to remove and replace the top of the RDA. I was able to produce massive clouds. I was not exactly sure why the Cylapex had air holes on the very bottom, because they are closed when the mid-piece is installed upright, or so they seemed. Upon a second inspection, though, I noticed the small bottom holes are for heat reduction, as the bottom of the deck has heat-reducing ‘rings.’ You can install the midsection upside down and the RDA works fine; it looks funny though, and is loose that way. All in all, I am absolutely impressed with the Cylapex Gate RDA. It is by far the most amazing RDA I own and use. Its airflow allows for the most enjoyably satisfying vapes, one after another. 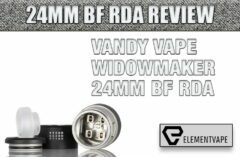 If you do not have a wide bore drip tip RDA, this is one to compare others to – most definitely. I enjoy mine and hope you enjoy yours if you get one – the parallel micro dual coil build I used has been my favorite one for my new Cylapex, so far. The pictures below depict the various notions above with a few additional thoughts below them. 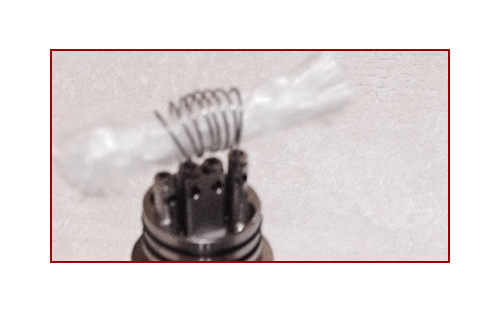 One last little perk in regards to the Cylapex Gate RDA… Because of the air holes, if you have organic cotton wrapped thinly around the outside of a dual parallel coil build, you can carefully drop e-juice through the air holes onto the barely visible material, even while vaping. 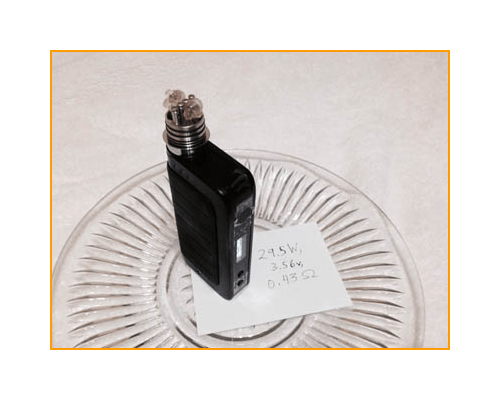 It works great and takes some practice to do without making a small mess; it is an odd yet enjoyable technique –makes for a super-flavorful vape. Be sure to have an extra napkin or two by you if you try vaping this way. In this first picture of five, you can see the fully assembled Cylapex Gate RDA. 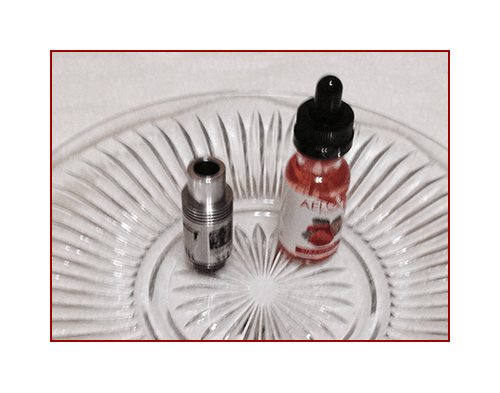 I also show the Aelos strawberry e-juice I oh so much enjoy vaping with from Ballaj Inc. Notice the wide bore drip tip -is it not incredible? The e-juice is, too. If you have not tried it or the Hollywood dragon fruit kind I vape on all the time and have the chance to, I recommend doing so. RDA. Small, they worked fine for proper air flow and flavor. Again, I enjoyed the parallel build even more. This picture also shows how the top of the RDA so easily stands on its wide bore drip tip in a stationary fashion alone, upside down. hole ‘gates.’ The deep ‘drip deck’ can also be seen. in a different manner, this technique worked fine for me. Notice it is loose and does wrap around the pre-built coils. The extra wick touches the bottom of the tank and actually did soak up any e-juice that happened to ooze into the bottom. Once assembled, it allowed for one amazing vaping experience after another. The picture to the left is the last one I originally meant to include in this article. It shows the ohms test reading, my IPV 4s vv mod, and e-juice soaked into the silica wick. I, to this day, leave the KangerTech beauty-ring on the mod. The next two photos were really just for fun and novelty – there is no need to try them at home. work, however it honestly did not compare to other builds. In conclusion, thank you for reading this article and please let me know if you have any feedback. I really enjoy writing about these builds and hope they help people that are new to building coils along their sundry pathways of endeavor. For those of you who are professional coil assemblers, I hope you enjoyed this article, too. Remember to be safe –vape long and prosper! 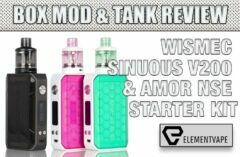 Previous : Atom Vapes g Clapton Coils Giveaway!